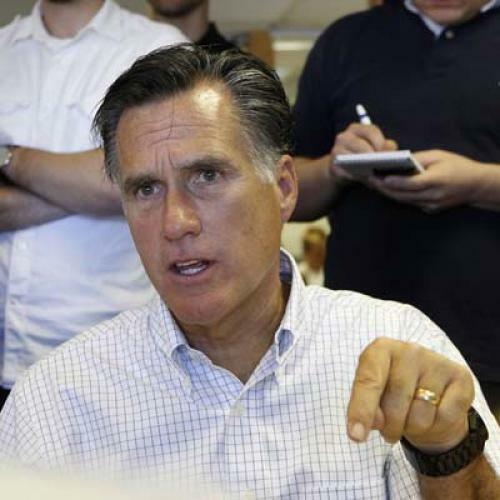 Attacks on Romneycare: "Distortions ... Flagrant Inaccuracies"
■ The percentage of residents without insurance coverage is down dramatically, to less than 2 percent; for children, the figure is a tiny fraction of 1 percent, a state survey shows. These are by far the lowest rates in the nation. ■ Many more businesses are offering insurance to employees than were before the law. The fear going in was that the opposite would happen. ■ The cost of the changes, while large, has proved manageable thus far, though there are some serious warning signs on the horizon, especially as federal stimulus funds, which have helped defray the cost, run out. ■ The plan remains exceptionally popular among state residents — indeed its popularity has only grown with time. There are some unhappy sectors — notably small business owners, who had hoped to see moderating premiums and chafe, in some cases, at the heavy-handed enforcement of the rules by the state. And support for the requirement that individuals obtain insurance is down to a slender majority, a recent poll shows. But there is no significant constituency here for repeal. ■ And while health care costs continue to grow at alarming rates, as they have nationally, the consensus of industry leaders and health care economists is that this trend cannot be fairly traced to the makeover but rather to cost pressures baked into the existing health care payment system. Massachusetts does have the highest health care costs in the nation, but it owned this dubious distinction long before “RomneyCare’’ was born. Taken in sum, it is a far cry from what critics of Romney, and of Obama, are saying about the Massachusetts plan. The attacks often rely on distortions, omissions or flagrant inaccuracies, and typically ignore the fact that the law accomplished its principal goal — expanding coverage to nearly every citizen.